Teaching advanced STEM (science, technology, engineering and mathematics) concepts, such as DSP (digital signal processing) to beginners can be tricky. That’s why we have developed our hands-on DSP course based around the ASN Filter Designer, that allows you to present DSP concepts to your students without the need for specialist hardware or complicated licensing. 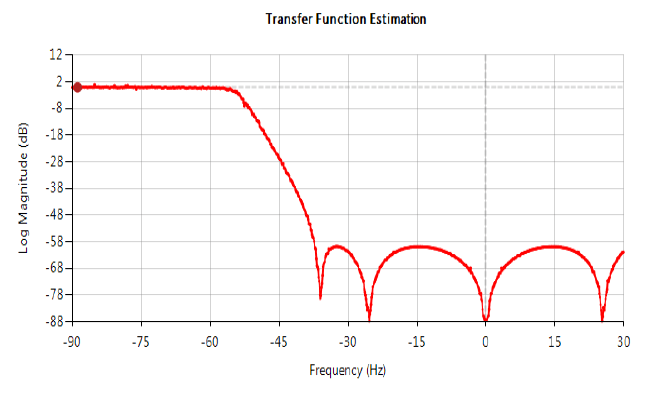 The ASN Filter Designer is also an invaluable tool for students, allowing them to learn by experimenting with DSP concepts at their own pace or in study groups. The course is based on our findings that most students have some understanding of digital signal processing but get confused when they have to do the mathematics themselves. For example, with our interactive graphical Pole-Zero editor, a lecturer can explain to students the effect of the poles-zeros on the net frequency response graphically without diving into the mathematics first. After you have explained the DSP theory, your students can see how the theory works in practice with ‘hands-on’ experimentation sessions. This enables your students to get a good grasp of DSP from the ground up. 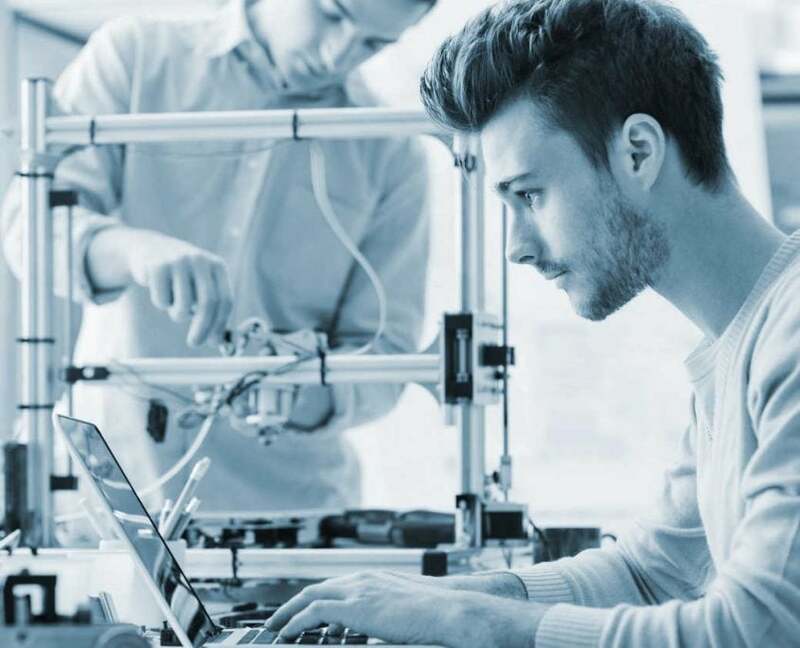 The ASN Filter Designer has an automatic code generator for Arm Cortex-M cores, which means that we support virtually every Arm based demo-board: ST, Cypress, NXP, Analog Devices, TI and over 200+ other manufacturers. The only thing you have to do is to configure a specific setup for your demo-board of choice. The lecturer explains the DSP theory. The ASN Filter Designer shows in its hands-on modules how DSP works in real life! Due to its modular structure, it’s easy to integrate the DSP exercises in your lectures. Because the ASN Filter Designer has an easy look-and-feel, it’s ideal for a ‘hands on’ course! Students can actually ‘play’ with DSP and see changes immediately. Instead of having to create algorithms themselves. Which, yes, teaches them how to program but less about their DSP skills. Alternatively, the student can experiment with whatever the lecturer has already created. In this case, the students can simply experiment with the lecturer’s tutorial example without fully understanding the theory – which is ideal for the first few steps in DSP! However, you learn the most by doing and experimenting yourself. By ‘playing’ with the ASN Filter Designer, students appreciate how their filtering algorithm impacts the end-product. Furthermore, the lecturer can choose to use the ASN Filter Designer as a standalone program or in addition to other programs, such as: Python, Matlab, Octave, Scilab and Labview. The tool’s automatic code generator engine allows the ASN Filter Designer to be used as an experimental platform, generating Python, Matlab, Scilab or Octave code for the designed filter blocks. 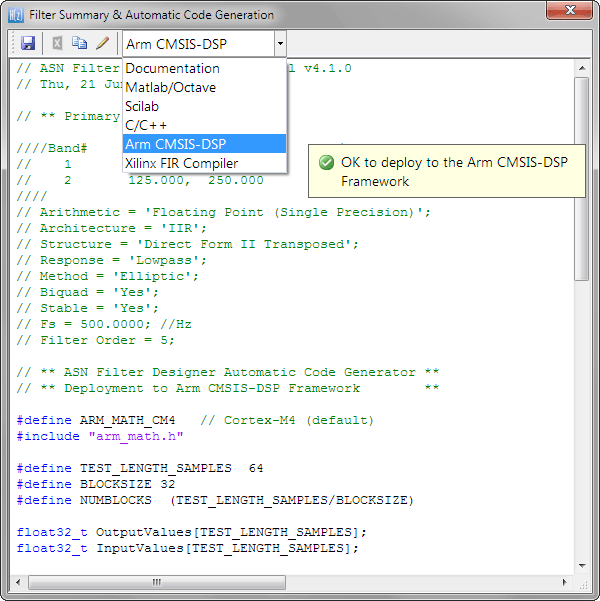 This code may then be used in the deployed domain for further analysis or building a comprehensive algorithm. ASNFD’s signal analyzer is an ideal starting place for experimenting with various stimuli and math functions and demonstrating their effects to students. With the interactive Pole-Zero chart editor, a lecturer can explain to students the effect of the poles-zeros on the net frequency response without diving into the mathematics first, which is where many students become confused. 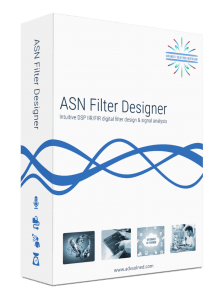 The ASN Filter Designer implements a state-of-art graphical filter designer user interface for both IIR and FIR digital filter design. The student can experiment with all of the classical filter design methods and much more. Easily integrate your designed filter blocks with your other algorithms in other domains. Export designed filters to industry standard software frameworks, such as: Arm CMSIS-DSP (Keil uVision), Python, Matlab, Octave, Scilab, Xilinx Vivado and C/C++ using provided royalty free software development frameworks. Our offering provides educators with a hassle-free way of training students in order to allow them to get a good start in working life. Students can work at their own pace and experiment with the detailed examples without the need for expensive hardware or other accessories. A low cost educational version of the designer is available, allowing academics to experiment with the examples and tailor make study material suitable for student tutorial sessions. The educational version is already available for 50 euro per a quarter – ask for our possibilities for group-licenses and educational partnerships! An outstanding digital filter design application that appears to be the Swiss Army Knife of filter design software packages.